﻿ Govenor Bebb MetroPark - Ohio. Find It Here. This 264-acre preserve appeals to nature lovers, history buffs, and outdoor recreation enthusiasts alike. Acres of woods, meadows, fields, and streams provide ample habitat for wildlife observation and nature study. The park's Pioneer Village provides a glimpse of earlier times in Butler County and the region. 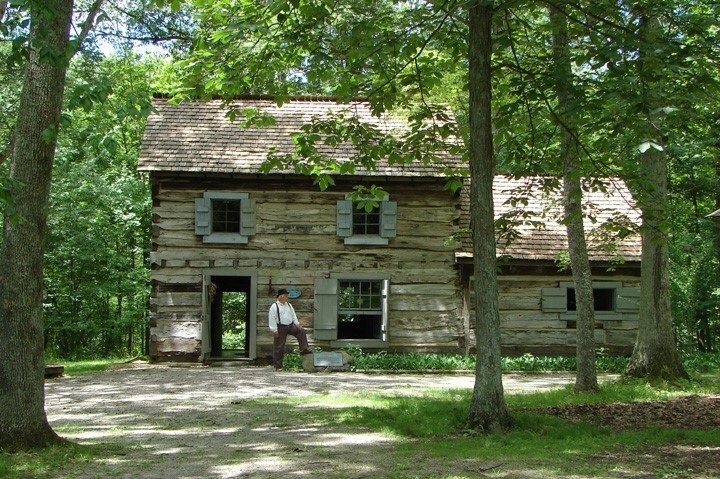 The park takes its name from William Bebb, 19th Governor of Ohio, whose 1799 birthplace cabin and boyhood home is the centerpiece of the Pioneer Village. Joining the Bebb cabin are six other authentic log cabins moved to the park to form a representative early Midwestern settlement. An 1850 covered bridge, one of two remaining covered bridges in the county, was moved from the Oxford area and rebuilt at the park entrance in 1970. The park includes hiking trails, picnic sites, a covered picnic shelter, the Murstein Group Cabin, and rustic campsites for overnight stays by families and organized youth groups.